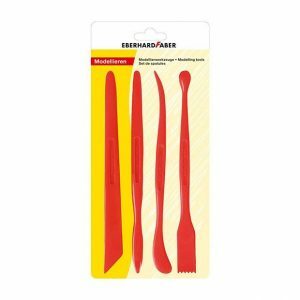 Set of 4 plastic tools for use with most modelling clays. 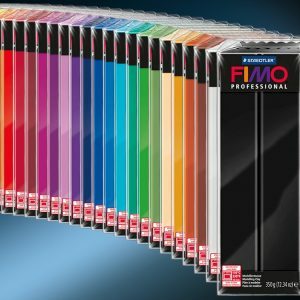 Fimo modelling clay is intermixable and should be oven-baked at 110 c/230 f. Available in 42g blocks and many different themed sets. 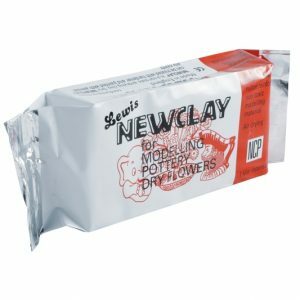 Fine and natural clay. 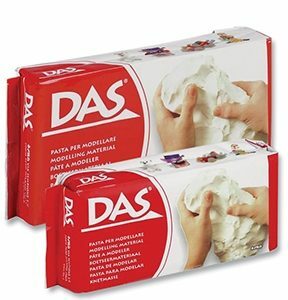 Highly malleable, it is recommended for modelling, sculpture and pottery. Firing in kiln at 980c. 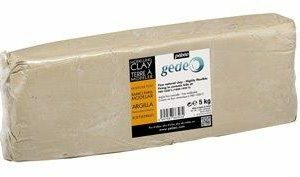 An off-white clay that is nylon reinforced to increase strength and reduce brittleness. Air hardening, but also fires well in the range of 1000 to 1250 degrees centigrade. 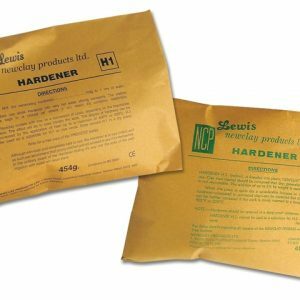 Varouis sealants and hardeners for use with most air drying clays. 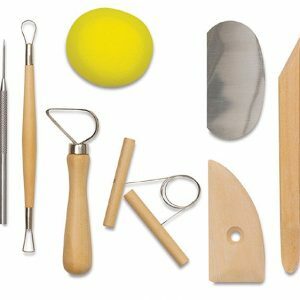 A selection of tools for clay modelling. Made by Abig from the best quality rust resistant cast zinc. The wheel is scored with concentric circles, making it easy to centre the modelling material.